The notion of a "great green technological transformation" enabling a "green economy" is now being widely promoted as the key to our planet's survival. The ultimate goal is to substitute the extravtion and refining of petroleum with the transformation of biomass. 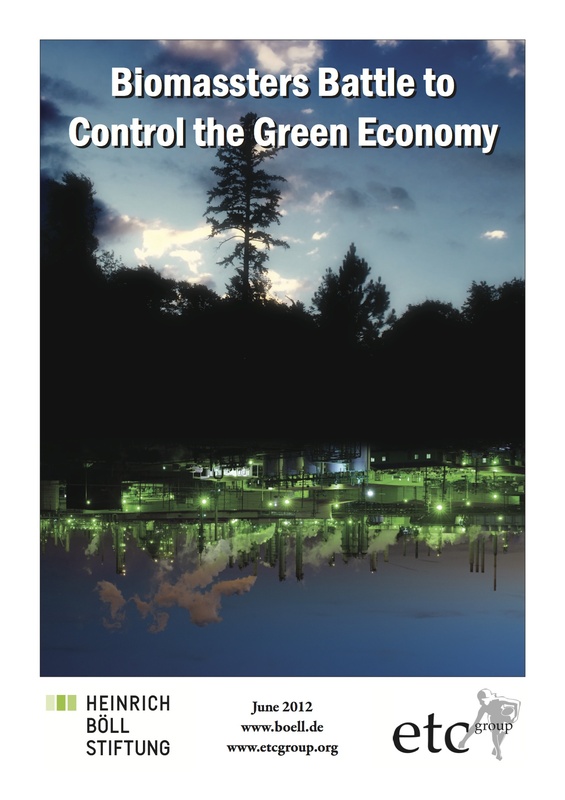 Who will be in control of the future green economy? In this joint report, the Heinrich Böll Foundation and the ETC Group reveal the new "Biomassters" and argue that in the absence of effective and socially responsive governance, the green economy will perpetuate the greed economy.